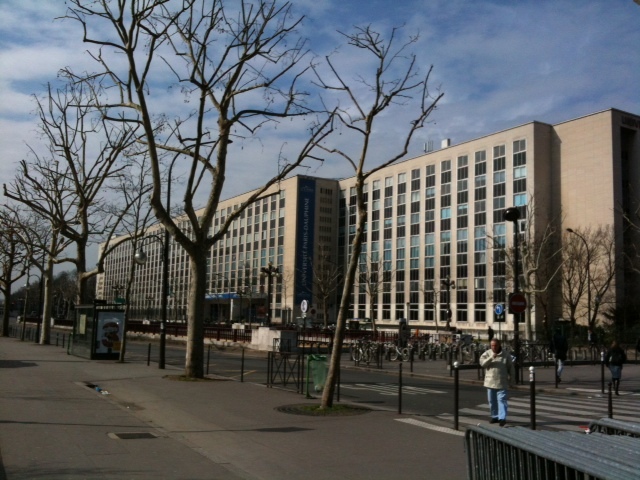 All CHI 2013 workshops (except W18 and W41) take place at Université Paris-Dauphine (Dauphine for short), nearby Palais des Congrès. 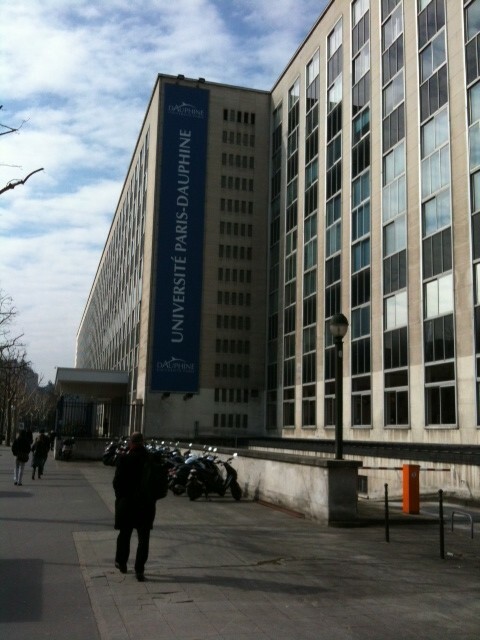 Registration for workshop participants will only take place at Dauphine. To go from the Palais to Dauphine, you can get on the RER C metro line (1 stop), you can walk (1km or 5/8 of a mile), or you can try the public biking system Velib. Depending on where you are staying, Metro Line 2 may work better (stop at Porte Dauphine). The map below shows the relative locations of Palais des Congrès and Dauphine. This photo shows Dauphine from the exit of the Metro station Porte Dauphine (follow exit #1 to Boulevard Lannes). On the left is the RER train station. 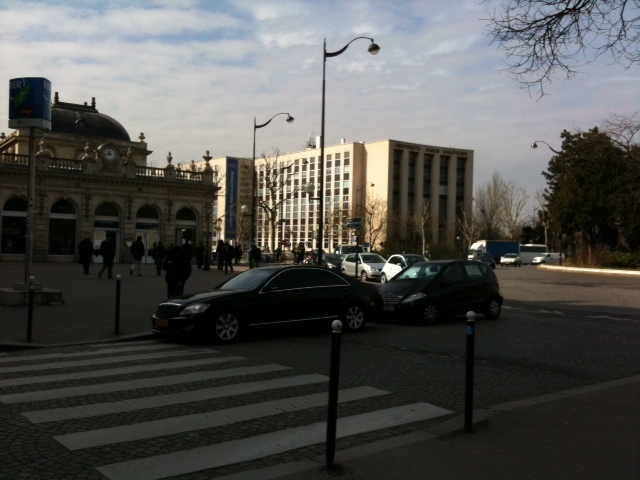 This photo shows Dauphine from the exit of the RER Station (Avenue Foch station). There is a Velib station (public bike system) right behind the pedestrian crossing the street. 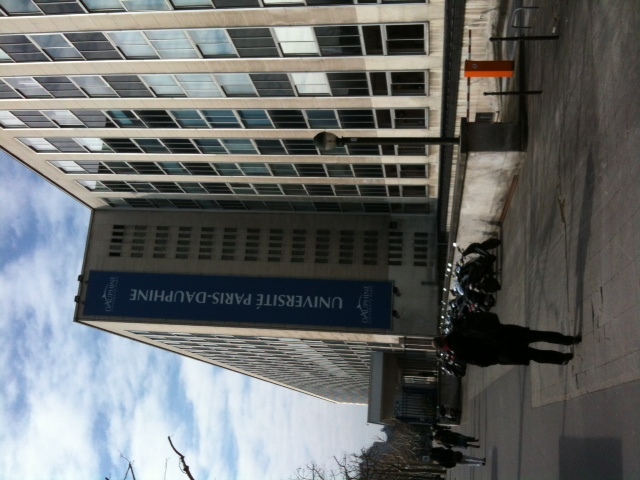 This is the entrance to Université Paris-Dauphine. Registration desks will be on the ground floor when you enter the building. 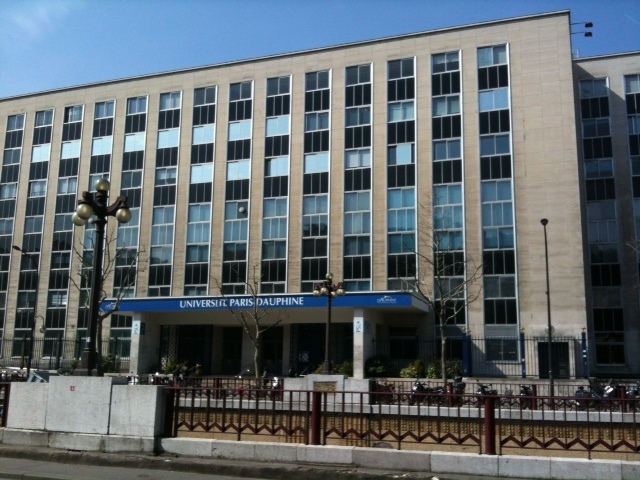 This is Université Paris-Dauphine after you have crossed Boulevard Lannes, as you approach the entrance.